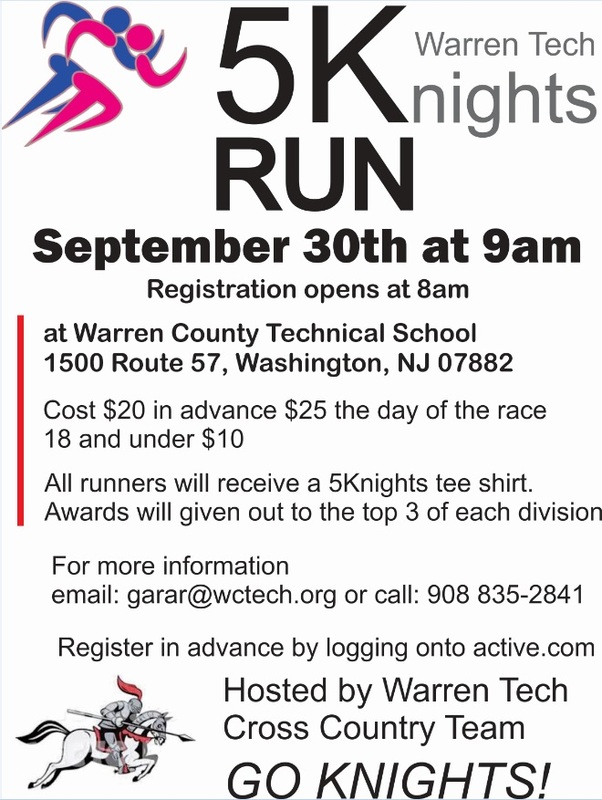 The Warren Tech Cross Country team will host its first ever “5K Knights Run” on September 30 th , registration begins at 8am. The event will take place on the Cross Country course at Warren Tech and the cost is $20 for advance registrants and $25 the day of the race. Runners age 18 and under are $10. All runners will receive a 5K Knights tee shirt and awards will be given out to the top three in each division. Advance registration can be completed at active.com.